I imagine that's what it's like all the time at the Mansion. WHATS WRONG WITH THIS PICTURE HES EATING AND THE GIRLS NEXT DOOR DONT SEEM TO HAVE A PROBELEM WITH IT. i wonder if that meat is of age. Are those even his hands? 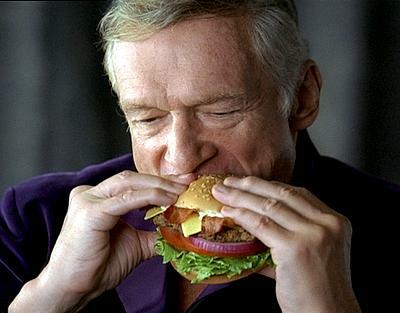 Who cares about the burger.....Where are the women?